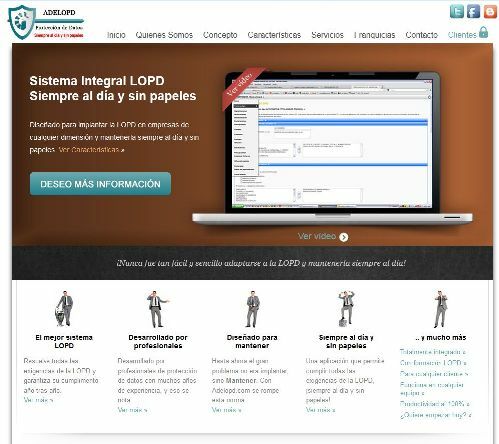 Adelopd is sorftare that makes easier to comply with the requirements of spanish LOPD (Data protection Act). It helps companies to fulfill their duties with an easy and paperless system..
– Identify the files used by the company, and declare them to enroll in the Register of the Data Protection Agency. – Manage contracts with third (Tax Consultant, labor consultant, computer…) who may have access to personal information of. – Document the other formal requirements under the Data Protection Act: Authorizations, delegations, ARCO rights record, etc. At present it is a life project, and is increasing its network of franchisees a very profitable business model.